Health and safety in the workplace are essential for the well-being of both the employees and employers. A recent study conducted by the Association of Worker’s Compensation Boards of Canada in 2008 reveal that approximately three occupational fatalities occurred each day during that year. These deaths result from both accident and occupational diseases. Furthermore, absenteeism and lost work hours due to health concerns are an ever-growing issue in today’s corporate community. But despite these alarming statistics, many workers and employers still underestimate the importance of workplace health and safety. As Canadians spend more time at work (230 days per year), the risk of workplace injuries and diseases are ever present. Safety hazards are considered as any potentially dangerous behaviors, substances or practices that can lead to injury or harm to the worker. The workplace exposes employees to a wide range of health risks that include: harmful chemicals, infectious diseases, unhealthy work environment, faulty work practices, and even injurious behaviours of co-workers and customers. While it is the duty of the employer to ensure a safe work environment, employees share the responsibility of maintaining the safety and health of the workplace. In Canada, the agency tasked by the federal government to enforce laws regarding workplace safety and health is Canadian Centre for Occupational Health and Safety (CCOHS). CCOHS guarantees that all Canadians work in a safe and healthy work environment by establishing and implementing safety standards and guidelines. These standards help employers identify and mitigate hazards, and prevent injury or illness. CCOHS espouses health and safety programs for every company. These programs are intended to identify and address potential hazards that workers are exposed to every day, as such, are vital in preventing illnesses and injuries in the workplace. At the same time, effective health and safety programs should educate employees on the benefits of practising healthy workplace and how to respond in case of accidents. Companies that understand the impact of injuries in their operations are more likely to implement such health programs. The CCOHS works hand-in-hand with the St Mark James and other health and safety training organizations in empowering workers to manage workplace hazards and respond during workplace injuries. Effective health and safety programs ensure that the operations run smoothly. And in case of an accident, a trained first aider amongst the workforce can significantly increase the outcome of the casualties. Victoria First Aid offers various first aid training programs that empower workers and laypeople in responding during emergencies. Take note that the first few minutes following an accident are crucial to an injured person. On average, emergency services will take around five to ten minutes to get to the scene of an incident. 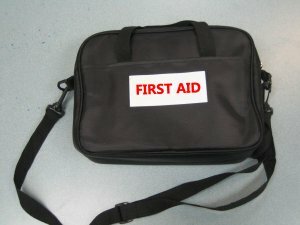 Until professional medical help is available, the trained first aiders are in charge, so it is essential for companies to have trained first aiders in the workplace. Employers must seriously consider investing on health and safety programs; on the other hand, employees must actively participate in these programs. Health and safety in the workplace requires employers and employees to work together.